Recreational Boating & Fishing Foundations' mission is to implement an informed, consensus-based national outreach strategy that will increase participation in recreational angling and boating and thereby increase public awareness and appreciation of the need to protect, conserve and restore this nation's aquatic natural resources. 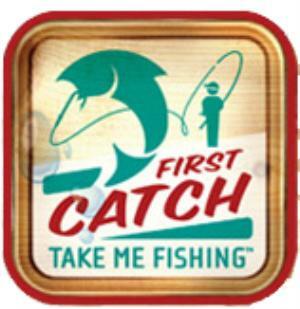 Take Me Fishing announces three great new patches for Cub Scouts and Boy Scouts to earn while sharing their love of angling. It's fun, it's easy and it's right at your fingertips. 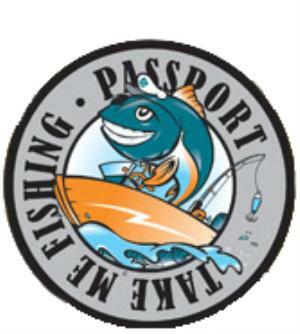 The Passport Patch program is an introduction to fishing and boating for Cub Scouts. Scouts take part in a fun and exciting six step interactive program that teaches various skills every angler needs to be knowledgeable, safe, and confident while fishing and boating. The Passport Patch is the coolest new patch around. The Passport to Fishing & Boating is a fun, adventure-education program designed to teach the skills needed to dive into the wonderful world of fishing and boating. It’s fun and easy to do with the help of a pack leader or parent. Once your pack has these basics under their belts, you’ll be ready to get out on the water and start fishing. How can you earn the Passport Patch? Ask your Troop Leader to register for the Passport Program. Complete three or go through all six exciting interactive stations designed to teach Cub Scouts and Scouts everything about the basics of fishing and boating. It is a perfect indoor activity, taking no more than an hour and 45 minutes, and the perfect skill-building opportunity leading to your First Catch patch. What is a healthy watershed? Tell us about your Passport activity. Cub Scouts and Boy Scouts can earn this patch by organizing a real-life fishing trip. The First Catch program is a great follow-up to the Passport Patch program, or can be done as a stand-alone program. How can you earn the First Catch Patch? Ask your Troop Leader or an adult to register for the First Catch Program. Plan your trip using TakeMeFishing.org resources. Go fishing with your Troop leader or adult. This distinctive patch is for Boy Scouts who organize a fishing trip for newcomers to the sport. The Mentor Patch program develops leadership qualities and introduces someone new to the wonderful world of fishing and boating. 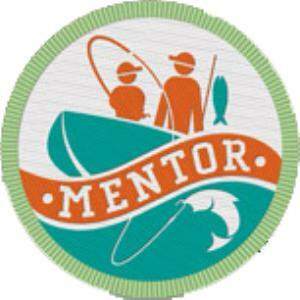 The Mentor Patch symbolizes all the positive character-building attributes of mentoring and encourages continued participation in fishing and boating. How can you earn the Mentor Patch? Have your Troop Leader register for the Mentor Patch program. Participate in organizing a fishing trip for newcomers to the sport. Mentor a Cub Scout pack, a church youth group, a little league team or even a neighborhood group.